Monash University Malaysia is calling for scholarship application for 2014 intake. The campus will be offering Cost of Living Allowances (stipend) and/or Tuition Fee Waiver scholarships to outstanding and deserving candidates. A full scholarship provides cost of living allowances (stipend) and tuition fee waiver. RM2000 per month for Year Two. RM2400 per month for Year Three. Applicants must meet all other entry requirements of the University including English language requirement. Applicants must also have high distinction average (H1 or First Class honours) and be undertaking full-time study. Based on academic achievement and offered to the highest achieving students for each discipline as determined by the scholarship awarding committee. Research degree students (Malaysian and Malaysia PR) who are on Monash University Malaysia financial support in the form of a tuition fee waiver and monthly stipend are required to contribute 10 hours per week in academic teaching and/or research training. International students will be engaged to provide Peer Assisted Study Session (PASS). A fee waiver scholarship provides exemption from tuition fees. Applicants must meet all other entry requirements of the University including English language requirement. Applicants must also have a minimum of H2A or Second Class Upper to apply for fee waiver. Applicants are advised to initiate application process for course at least 6 weeks before the deadline. Application process can be downloaded here (pdf, 100 kb). For more information, please visit official website: www.monash.edu.my. 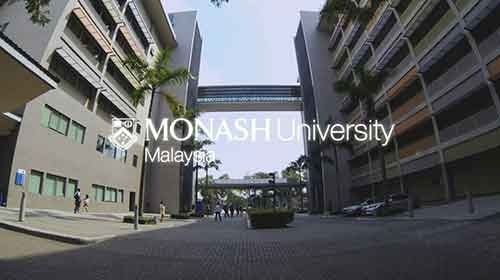 Demikianlah informasi mengenai Postgraduate Research Scholarships, Monash University, Malaysia semoga berguna bagi anda.